Spectrum’s Drama Club is directed by a drama professional who has extensive experience working with children and adults on the spectrum. The club is open to children through young adults with HFA/Aspergers Syndrome and their siblings. In Drama Club they will have the opportunity to explore the art of improv, drama, puppets and music with their peers and will provide participants with the opportunity to improve their communication skills within a small group or in front of a larger audience. Research has shown that children who participate in drama/acting activities improve their ability to react and respond to imaginary situations and feelings and eventually generalize these skills into their daily living. Acting can improve a child's self-confidence, communication and relatedness with their peers. 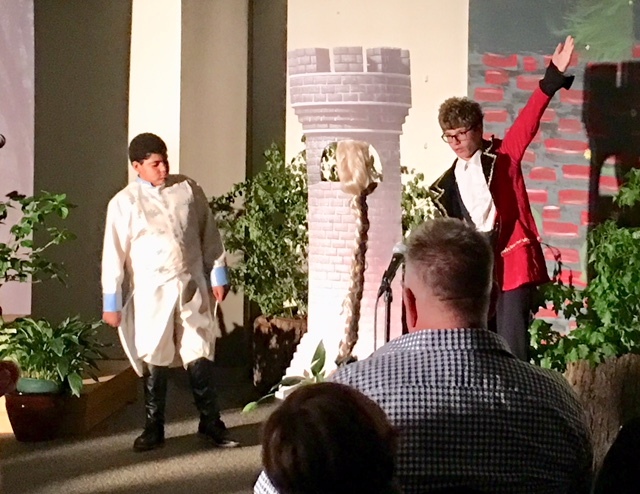 Drama Club meets once a week during the school year, culminating with a production. 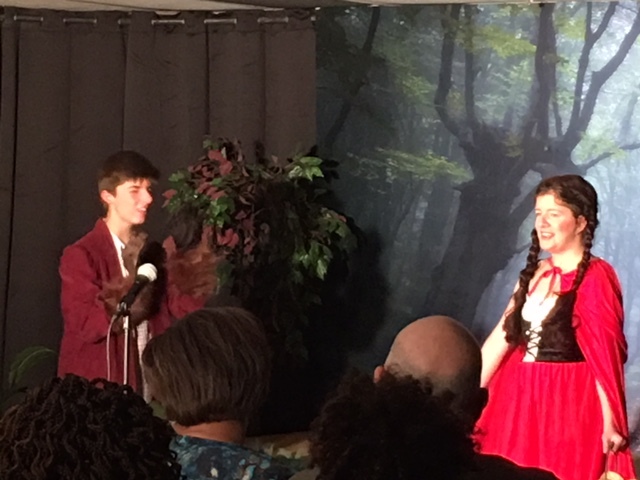 Past presentations by the Spectrum Drama Club include The Hobbit, Charlotte’s Web, Midsummer Night's Dream, Seussical the Musical, Shrek the Musical, Jr. and You’re a Good Man, Charlie Brown, and Into the Woods. Our Drama Club has been very popular and successful, with many of our cast members re-enrolling every year. Spectrum's Drama Club is managed by Social Skills Today. The fall session runs from Sept. 17 to Dec. 10, 2018 and theWinter/spring session will run Jan. 28 to May 6, 2019 costs $390 and both meet on Monday nights from 6:30pm - 8:00pm in the Annandale Chapel, 3500 Annandale Lane, Suwanee, GA. Performances will be held at the end of each session. Sign up one for one session or both! Drama Club meets on Monday nights (school year only) from 6:30 pm-8:00 pm.